This use case demonstrates how to use GOF to analyze clock trees. 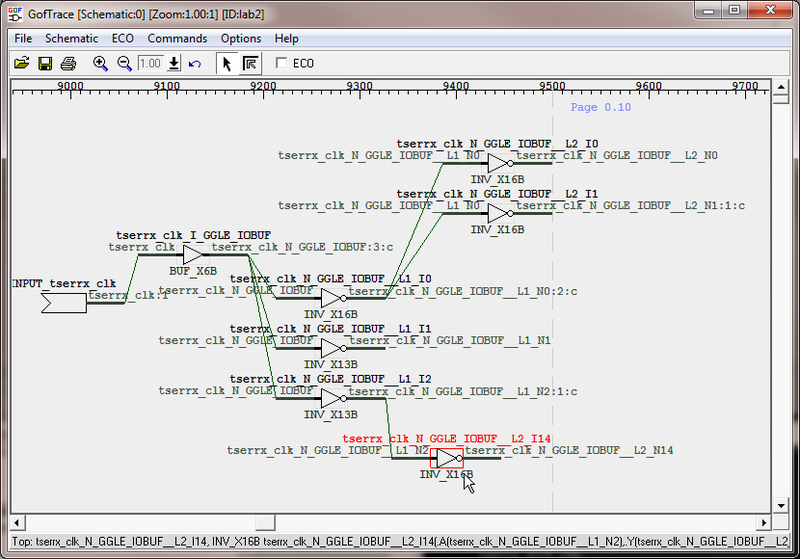 GOF can trace only clock tree cells on schematic. Users control how the clock tree is displayed on schematic. 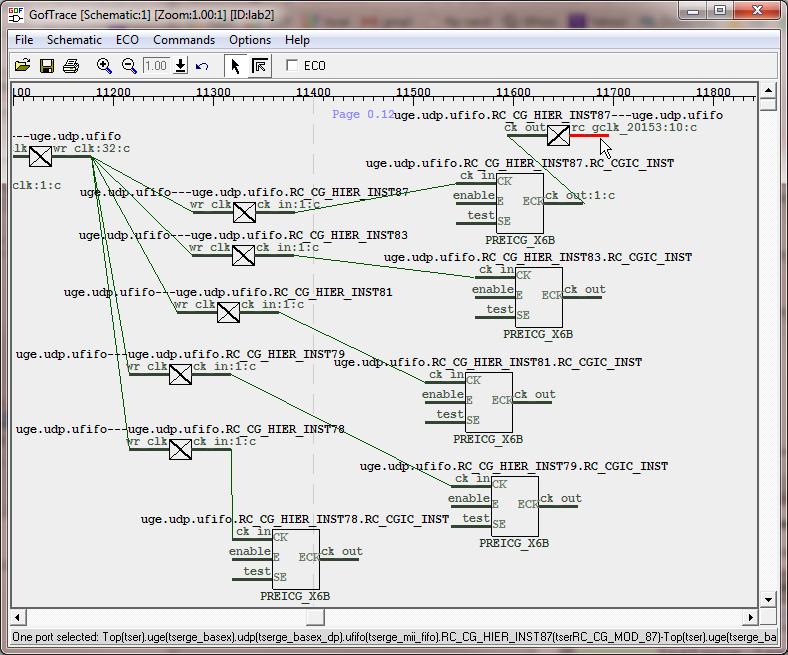 When DEF is loaded, the clock trees' placement can be shown on LayoutViewer for analysis. In GofViewer window, search for the clock and click 'New Schematic' button. On GofTrace schematic window, click mouse-left-button on any clock cell's output pin to select the pin, click mouse-right-button to popup menu and select 'Clock Tree Tracing' option. Then mouse-middle-button tracing on output pin will bypass flip-flops. Press mouse-middle-button on cells' output pin to expand the clock tree. The tool puts fanout number and 'c' separated by ':' as suffix on nets driven by clock cells. 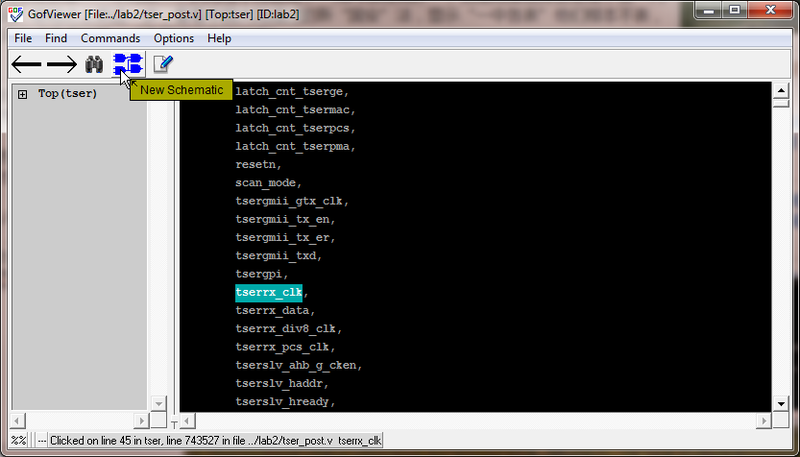 And flip-flops will be bypassed, since 'Clock Tree Tracing' is enabled in the previous operation. 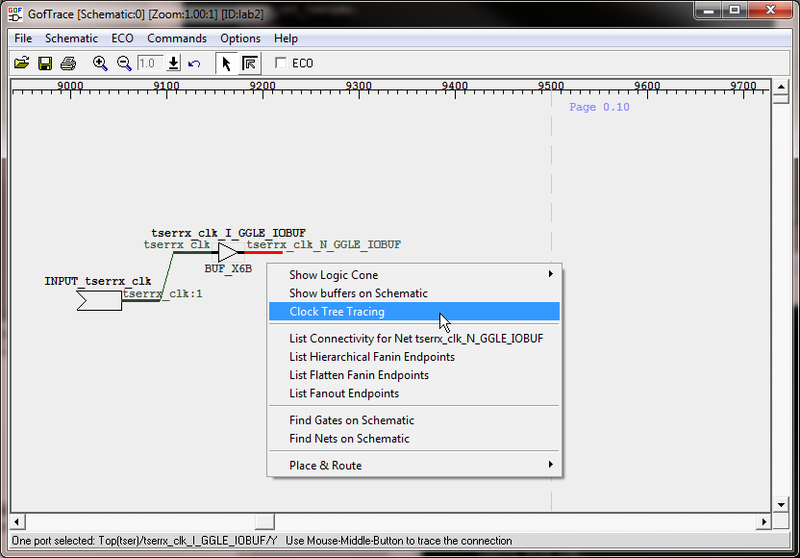 Press ctrl-a, or use mouse to select multiple of objects on the schematic. Click mouse-right-button to popup menu and select 'Copy Selected to'->'Layout New'. 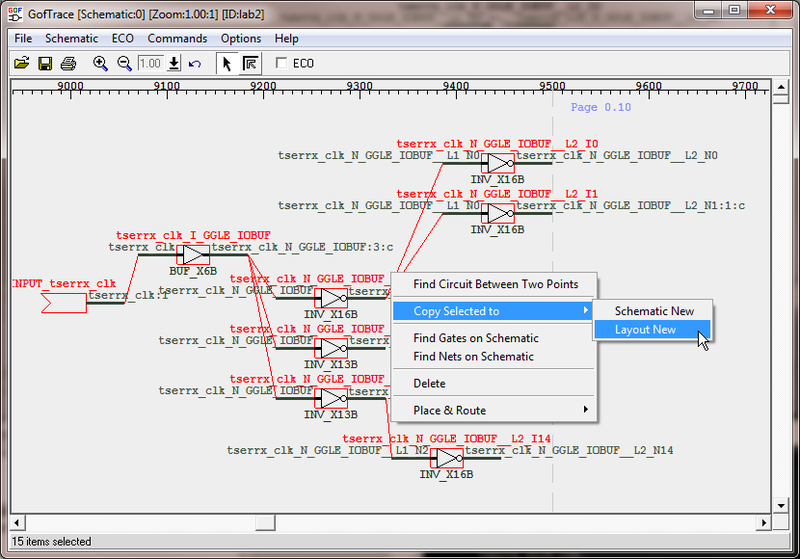 The selected circuits' placement will be shown on LayoutViewer window. 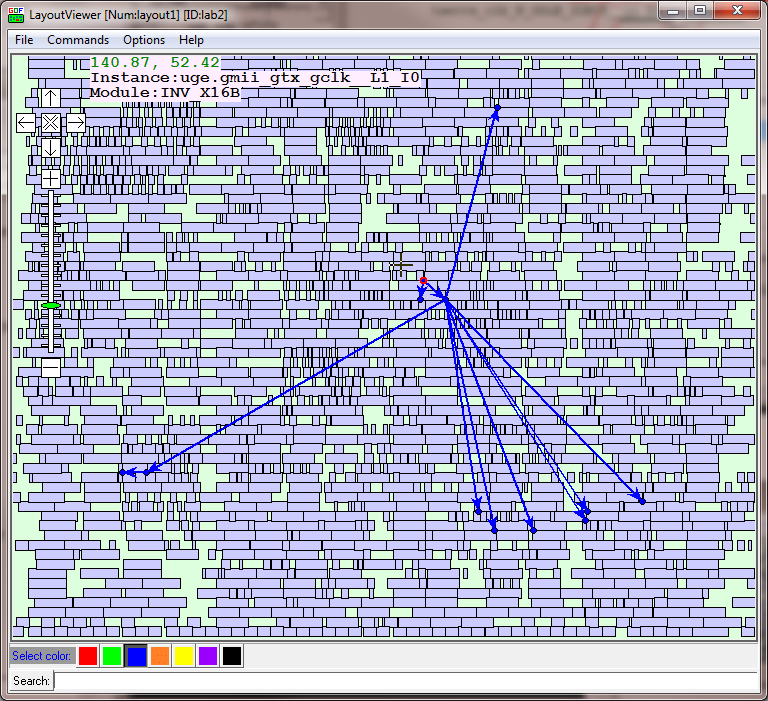 The placement of the clock tree cells and connections are displayed on LayoutViewer window. Clock tree tracing is wholly under user's control. User decides to expand which branch and the whole clock tree or portion of clock tree can be selected to sent to LayoutViewer for placement and connection analysis. Portion of clock tree placements and connections are displayed on LayoutViewer.